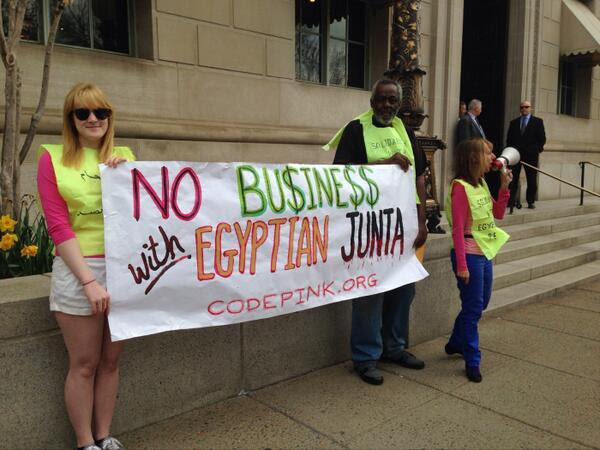 Tell Secretary of State John Kerry that it’s time stop the cozy relationship between the United States and Egypt and Saudi Arabia! Send a message to Secretary of State John Kerry today and tell him it’s time to get out of bed with the Egyptian and Saudi governments! Did you know that the US gives the Egyptian government the weapons it is using to murder peaceful protesters in the streets, as you’re reading this? Did you know that the US sells massive amounts of weapons to Saudi Arabia, the country that flogs people for blogging, and beheads on average 80 people a year? Tell Secretary of State John Kerry that it’s time stop the cozy relationship between the United States and two of the most repressive and abusive governments in the world, Egypt and Saudi Arabia! It’s been four years since the dawn of the Egyptian Revolution, where protesters gathered in Tahrir Square to demand an end to the repressive regime of Hosni Mubarak. Yet four years later, the country is now worse off with the latest dictator, Fattah el Sisi.During protests this week, a 31-year-old female activist named Shaimaa al-Sabbagh was murdered by police as she tried to lay flowers in Tahrir Square. At least 17 other activists were killed this week and over400 people were arrested. Meanwhile in Saudi Arabia, Raif Badawi ––political blogger, husband, and father of three–– sits in a jail cell,sentenced to 10 years in jail and 1,000 lashes for writing blogs that criticized the Saudi government. Women are prosecuted in “terrorism” courts simply for driving, and people are beheaded for crimes such as theft and adultery. 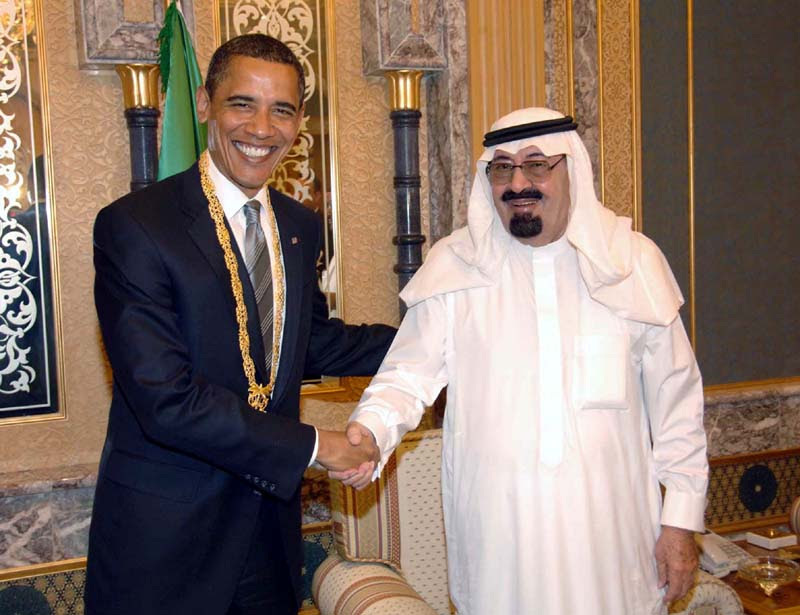 Why did President Obama go to Saudi Arabia to pay his respects to a ruthless monarch? Shaimaa al Sabbagh and Raif Badawi represent two of the thousands of Egyptian and Saudi Arabian citizens who are penalized for exercising their fundamental human rights. The US touts freedom and democracy, yet maintains these nefarious relationships. The US says they are allies in the “war on terror,” but they’re terrorizing their own people. PS: Send a message of solidarity to the Egyptian people as they struggle for freedom and democracy!